GET YOUR BOAT AT INTERMARINE AND BE READY FOR THE SUMMER! 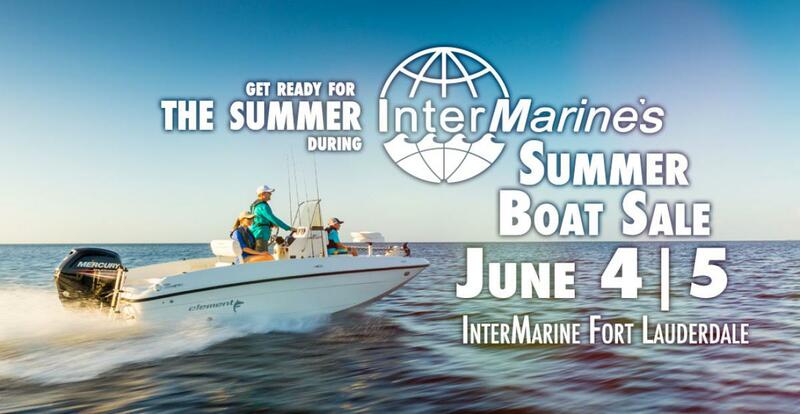 Next Saturday and Sunday, June 4 and 5, come to InterMarine's Fort Lauderdale flagship store to take advantage of real-deal pricing on some of the best family boats in the market. GOTCHA COVERED WARRANTY: Forget your worries with a 5-Year Protection Program for Bayliner, Chaparral and Four Winns!